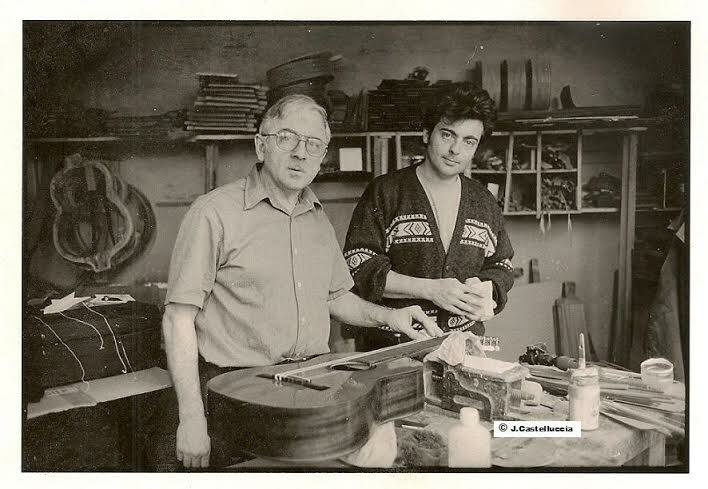 The story of the guitar makers Castelluccia began at the beginning of the last century in Italy. As a passionate amateur Francesco lead the march by making violins. He gave this passion to his son, Jean-Baptiste, and transmits him all of his expertise. At the end of the 30s, Jean-Baptiste imigrated in France. He lived at the « Porte de Montreuil », a place which was not far from the zone that was often frequented by the Gypsies. He was a member of the famous group of italian guitar makers who are at the origin of the mass diffusion of guitars with steel ropes. 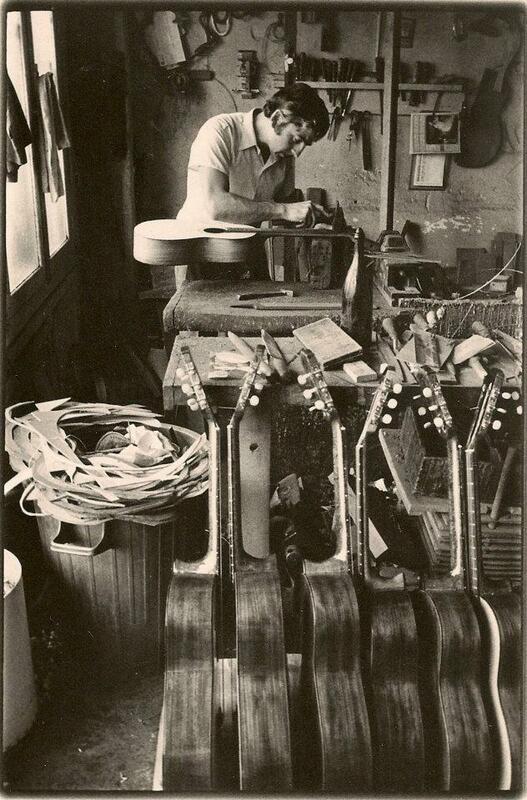 His meeting with the famous guitarist Django Reinhardt lead him to specialize himself in the conception of gypsy jazz guitars, a model which has allowed him to build a recognized name in the little world of parisan guitar makers. In 1954, his son Jacques joined him. 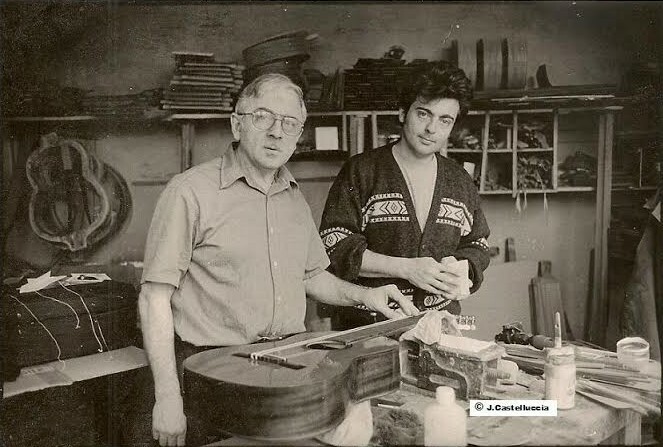 For each of the six following years Jacques got training with the idea of devoted himself to the manufacturing of classical guitars. Indeed, at this moment, there were many things to make and to discover regarding the acoustics of this kind of instrument. That’s what motivated Jacques a lot. 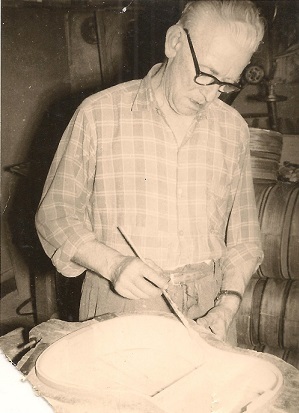 In 1961, Jean-Baptiste passed the torch on to his son Jacques. At the end of the 60s, the creation of guitars classes in the conservatories made the classical guitars a major instrument. Jacques decided therefore to reduce his production of jazz guitars in favour of the classical guitars. The keen interest for the latter lead him to meet concert artists and to make his first concert guitars. The middle of the 70s is a turning point of Jacques’career. Indeed, his improvements furthered him to devote himself harder to concert guitars. At the beginning of the 90s, his son Jean-Baptiste joined the family workshop in order to learn the art of the guitar making. Jean-Baptiste (Jacques’son and Jean-Baptiste’s grandson) is carrying on the excellence tradition of his forebears. Heir of nearly 70 years of research in the field of guitar making, he has established himself in the center of Paris, in the famous district of the rue de Rome. 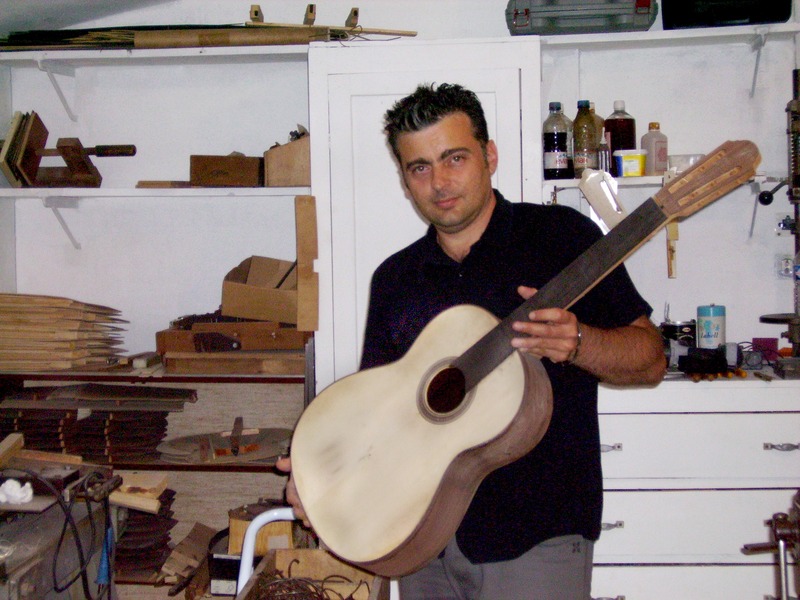 Resolutely involved in the new century, he is making classical, flamenco and jazz guitars. These one have sound qualities which can satisfy the requests of the most demanding guitarists.